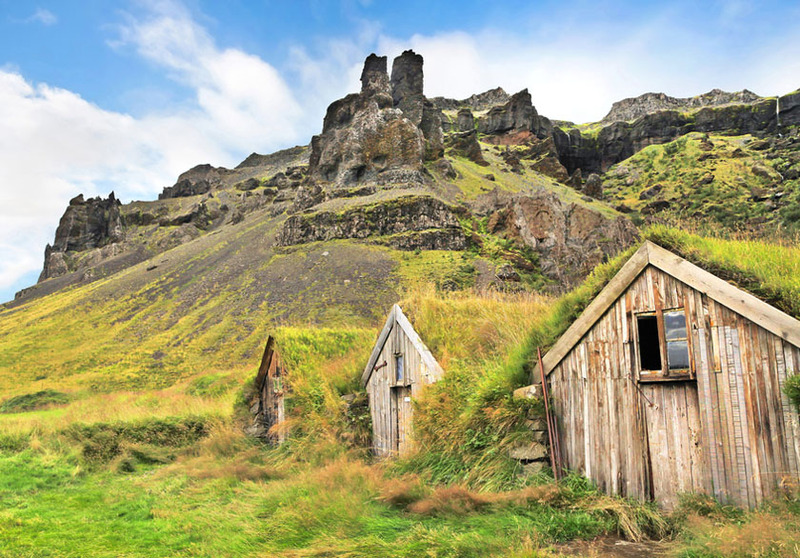 The scenery in Iceland is particularly impressive, and most of the country is made up of beautiful expanses of mountainous terrain and farmland. There are plenty of ranges to keep the hiker occupied, and some exceptional sites too. Take Mount Kirkjufell, a 1500ft mountain sticking lonesomely out of a peninsula. Or Thorsmork, a huge ridge named after the Greek God Thor, boasting spectacular views. It’s another mountain yes. Don’t worry, there is more to Iceland than mountains, but this one deserves a mention of its own. Landmannalauger is a multicolored rainbow range, made up of rhyolite. It is probably the trippiest hike you will ever do, with pinks, purples, whites, blacks, greens, and yellows all on display in the mighty rocks. Iceland is home to some of the most awe-inspiring waterfalls in the world, and they are everywhere- big and small. The Svartifoss is a popular choice, as its black lava columns give it a unique and distinguished look. Dettifoss is also a big one; the most powerful waterfall in Europe in fact. The capital city Reykjavik is home to nearly two-thirds of the Icelandic population. It is vibrant and cultural, and is where all of modern Iceland resides. The city is still comparatively small, and can be easily explored on foot. Well worth a visit. Norway is typically the country which is most associated with the Northern Lights, but any country as far into the northern hemisphere is just as good, and Iceland is as spectacular a place to see the sky’s greatest light display as any. Do you need any other reason to visit? In case you are still pining over the idea of a nice sunny beach holiday, you will be happy to know that Iceland has some brilliant and beautiful beaches too! The sea might not be the ideal bathing temperature, but the coastline is epic, with sand, rugged cliffs, and violent ocean waves crashing against the shore. It is a little bit funny to think that volcanoes could be an attraction, but you know that they excite you, and Iceland has plenty. It is a volcanic island and some of its volcanos are still active. You might not see a big eruption, and hopefully you don’t, but you can see activity, and you can get right up close to it. As a result of all of the volcanic activity on the island, some bonus features of nature have graced Iceland, to make it even more worth a visit. Exploding geysers regularly erupt boiling water a hundred feet into the air, volcanic rivers flow on beds unlike any others, and it is possible to bathe in hot springs; relaxing natural baths that bring you a heady pleasure. If the captivating display of some of the finest natural events and scenery is not enough to make you believe, then there is one more reason why you should visit Iceland: It is ranked as one of the happiest places on Earth. The people are happy. Their happiness, along with the magic of the country, will no doubt infect you. Happy traveling. Do You Need To Take Your Technology Traveling?